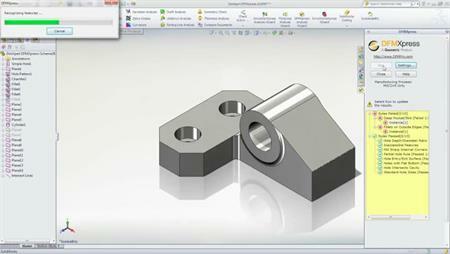 SOLIDWORKS provides a number of ways of designing your parts utilizing Parametric relationships and dimensions. However, sometimes these dimensions aren’t useful for manufacturing.Utilising DimXpert, users can create manufacturing dimensions on Prismatic and Turned parts, using plus and minus or geometric dimensioning and tolerancing standards. Join us to discover the powerful tools that validate and document your designs for the manufacturing processes downstream.